There is wisdom in diversifying your portfolio. An emerging investment trend that is gaining momentum in recent years is Peer-to-Peer lending or P2P lending. 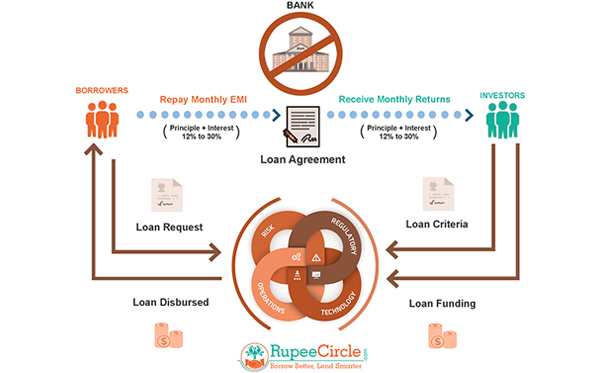 Essentially, P2P lending connects lenders (also called investors) with borrowers on an online platform, often using an automated matching algorithm. Lenders can choose to invest their capital in a single borrower or various borrowers for a stipulated period of time. Since there is no intermediary on the platform, investors can earn an attractive rate of interest over a period of time. If you are an investor looking at P2P lending as an investment option, you might wonder how P2P investments stack up against other instruments in the market investments. Or how is it better or worse compared to alternate investment asset classes such as stocks, savings accounts, real estate etc. Traditionally, savings accounts are considered to be a safer option. But as they say, nothing ventured, nothing gained. Savings accounts provide relatively low returns (4-5 annually). A savings account might be a good option for parking your money or saving for an emergency but can’t beat inflation in terms of the returns if you are looking at the long term. For wealth creation, however, savings accounts and FDs are counter-productive because the value of your investment diminishes over time with the rising costs. Stocks are a highly popular choice when it comes to investment. Shareholding in a company brings some attractive benefits like profit-sharing in terms of dividends and profits from the rise in stock price appreciation. However, the main argument against investing in stocks is that it is a very complex and highly volatile market at the best of times. Unless you are Warren Buffet or an investment guru, it is difficult to navigate the tumultuous landscape of the stock market. For absolute novices, it is more like a gamble. It requires deep study and understanding of the volatile stock market. P2P lending, on the other hand, is fairly simple. It doesn’t require specialist knowledge of the stock market. To reduce your investment’s exposure to volatility you must consider investing in P2P lending. With P2P lending, you can distribute your principal amount among various borrowers and even on several platforms to mitigate the risks. Also, you upgrade your portfolio and earn returns that are reasonably high and risk-adjusted. Bonds mean debt obligations. When a company issues a bond, the money it receives is a loan that is repaid over a period of time. Generally, bonds provide a higher return over a longer-term period. However, in India buying and selling bonds is not very easy. The reason being, a majority of bonds are privately placed and not advertised therefore not accessible to all. Since, we do not have a matured marketplace for bonds like other developed economies, investing in bonds becomes a tad more difficult. Also, investment in bond requires expertise and you will need the help of a specialized bond broker because equity brokers are not so well-versed with bond markets. Indian commercial bond market is not very well developed or accessible some Western countries. Alternatively, if you can invest in Government bonds via registered dealers or commercial banks. P2P lending, on the other hand, is very accessible and quick. You are only a few mouse-clicks away from making an investment. You don’t require third-party help or specialist brokers to invest in P2P lending. Real estate is conventionally seen as a smart investment option, especially becoming a home-owner. In terms of stability and appreciation, the future of real estate is slightly muddled and confusing. Essentially, real estate investment generates returns in two ways – capital yield and income yield (such as rent). But there are many challenges with real estate investment. You need a sizeable capital to invest in real estate. Plus, real estate is perceived as an underperforming and unpredictable asset class with poor liquidity. For example, it might be a buyer’s market when you need urgent cash, making it difficult to sell. It also requires a longer tenure of investment to be rewarding. A fairly simple concept that even a layman can understand. You can register on a P2P lending site and get started right away. As opposed to some specialist knowledge and broker help required in options like shares, bonds etc. You can start small, spread out your investment among several borrowers and many lending platforms too. By investing wisely, you can enjoy the benefits of compounded returns over a long period of time. It has a more balanced risk-return ratio compared to other means of investing because the decisions are largely controlled by you. You can choose the lending platform, borrowers and how much you want to invest in each borrower. You can be almost certain of the moderate to high risk-adjusted returns with P2P lending, without fearing a volatility downturn. Further, the cash flow starts almost immediately after the investment because it is not tied to maturity. Unlike investing in shares, P2P investment is not volatile; it performs better than asset classes like savings accounts and real estate. 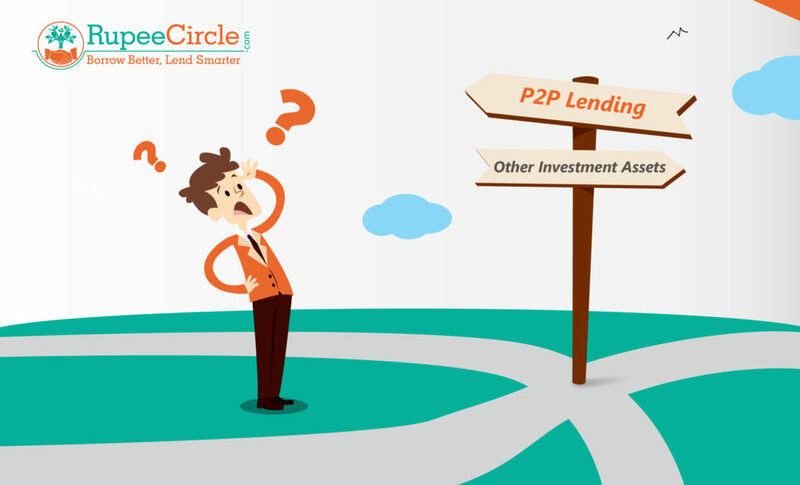 P2P platforms use elaborate criteria with hundreds of parameters to mitigate the lending risks. You can also ascertain the creditworthiness of the borrower by validating the borrower’s profile and choose a low-risk, moderate-return option. When considering investment options that are safe, liquid and atypical, don’t ignore the potential of P2P lending. Many financial gurus and advisors are now recommending P2P lending to their clients for a diversified and lucrative portfolio with excellent risk-adjusted returns.